SAN NARCISO, Calif. (Bennington Vale Evening Transcript) -- More than 50 years after Rosa Parks helped ignite the civil rights movement in America by refusing to relinquish her seat on a segregated bus and move to the rear of the vehicle, she became the first African American woman to be commemorated with a life-size statue in the Capitol's Statuary Hall. The dedication ceremony was held on Wednesday, with President Obama and Parks' surviving relatives in attendance. Her act of defiance directly influenced desegregation and was instrumental in the passage of the Voting Rights Act of 1965, which came under fire this week by the conservative justices of the Supreme Court -- particularly Antonin Scalia who labeled one of its key provisions a "racial entitlement." Despite drawing gasps and criticisms for his comments, Scalia continued to attack the relevance of the act, citing the slippery-slope dangers of racial entitlements as propagating racial inequality. In that same spirit of profound concern, Scalia told Congress they should move Parks' statue to a less prominent position in Statuary Hall -- the back -- to downplay the perception of racial entitlement. During the oral arguments this week, representatives from Shelby County, Ala., sought to make the case for voting against Section 5 of the act, which empowers the federal government to strike down local and state voting regulations if the new rules threaten discrimination against minority voters. Section 5 has been enforced mostly in Southern states with sordid histories of preventing African Americans from voting. Prior to the legislation, as illustrated by testimony from Rep. John Lewis (D-Ga.) -- who was severely beaten by police during 1965's "Bloody Sunday" riot targeting peaceful civil rights demonstrators -- black voters were subjected to literacy tests and being asked "to count the number of bubbles in a bar of soap or the number of jellybeans in a jar." "It may not be the overt acts of violence that we had and witnessed during the '60s. But the result is the same," Lewis added, speaking to recent attempts across many districts to hinder minority voters from showing up at polling places or casting their ballots. But Justice Scalia feels Section 5 is little more than a racial entitlement whose repeal has not been given serious consideration because, he said, senators would refuse to cast a vote against it for fear of disenfranchising voters. He claimed that reauthorizing the act was "a phenomenon that is called perpetuation of racial entitlement." "Whenever a society adopts racial entitlements," Scalia warned, "it is very difficult to get out of them through the normal political processes." He followed up with the bizarre statement that the right to vote "is not the kind of question you can leave to Congress." According to the Constitution, however, it is precisely the question left to Congress as core to our democracy. But Scalia's defenders say his aims are loftier and more noble, and that his position is largely misunderstood. He seeks to end racial inequality, they argue, which he believes will only continue with entitlements in place. "To pursue the concept of racial entitlement -- even for the most admirable and benign of purposes -- is to reinforce and preserve for future mischief the way of thinking that produced race slavery, race privilege and race hatred," he wrote in a 1995 opinion. According to Scalia, and echoed by Chief Justice Roberts in 2007, the only way to end racial discrimination is "to stop discriminating on the basis of race." To underscore his contention, Scalia pointed out glaring problems with so-called racial entitlements such as Affirmative Action using one of his peers as evidence. 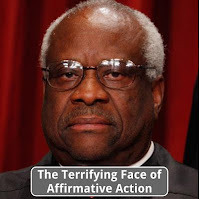 "We have in our very chambers a terrifying portrait of Affirmative Action gone awry," Scalia explained. "Justice Clarence Thomas. As a poor undergraduate at Holy Cross College, he got a scholarship to Yale that was set aside only for minorities. And because of Yale's aggressive 10-percent diversity quota, this impoverished rural Georgian received generous financial aid from the school. Not based on any kind of merit or academic achievements, mind you." Scalia also referenced comments Thomas made in 1983 before the Equal Employment Opportunities Commission: "God only knows where I would be today. These laws and their proper application are all that stand between the first 17 years of my life and the second 17 years." "But look at him now," Scalia continued. "He makes biased rulings to help his friends in business and politics. He sexually harassed employees such as Anita Hill -- the details of which are too lurid for me to repeat. 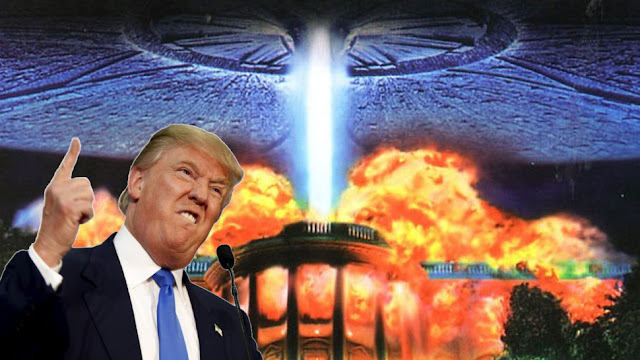 He consistently goes out of his way to cripple civil rights, minorities, the downtrodden and any legislation that could help the disadvantaged achieve what he has through the same programs. His favorite non-pornographic film is 'The Human Centipede.' He's a horrible judge and a horrible human being. And he knows it. He understands better than anyone why racial entitlements are so detrimental." In fact, four years ago Thomas alone voted to strike down the Voting Rights Act in its entirety, confessing in a rare moment of candor before the press that "getting here through Affirmative Action has been the worst thing. First, I probably wasn't even as qualified as Robert Bork, which is saying something; and second, now everyone just thinks of me in terms of race -- as though I'm the only black man on the bench." Scalia also maintains that until society stops focusing on race, minorities like Justice Thomas will never be free from the shackles of race identification. "Too often, we erroneously talk about the Civil War in terms of race, not the real issue of state versus federal powers. That fallacy merely draws attention to minorities as minorities, and also as the catalysts for violence," Scalia opined. "By providing minorities financial assistance, forced equality and access to an education that others must earn, we instill animosity in those qualified people who were pushed aside because of mandated quotas. We also risk creating a sense that minorities can do whatever they want without repercussions, and we never teach them how to work toward goals or to earn their ways -- so we enable incompetence and laziness. That's doing them a disservice." For these reasons, Scalia sees the Rosa Parks statue as a destructive symbol of enduring racial entitlements -- thus, a monument to racial discrimination. In a letter to Congress, Scalia urged the House of Representatives to reposition the Rosa Parks statue in the Hall of Statuary. The Hall of Statuary is meant to house the likenesses of prominent citizens in American history. Certainly, Ms. Parks occupies a place in history, but should she occupy such a conspicuous place in this shrine? First, we must question what exactly Ms. Parks did. In summary, nothing. She was told to change seats and move to the back of a segregated municipal bus, in accordance with the prevailing laws of the day. She did not. She simply sat where she was. In some regard, we are praising her inaction. But in refusing to act, she did break the rules. Agree with them or not, the segregation laws were passed by majority votes, which means the bulk of the American people agreed with segregation. Voting is the most fundamental and sacred right in our democracy. We must honor the decisions of the voting public, even if they seem distasteful to a minority of the population. Ms. Parks' decision to do nothing also led to widespread protests that erupted in violence, death, the burning of churches and ultimately the assassination of a respected preacher. But Ms. Parks' biggest offense was in denying her own people an opportunity to triumph using the very systems of law and free market enterprise that guide this great nation. Instead of fighting for reparations and equal protections and petitioning the federal government to overstep its bounds by overturning legitimately passed laws, she could have denied these segregated businesses her patronage. Start a blacks-only bus line. Spend money in only black-friendly establishments. At some point, as the black population grew, these enterprises would have become more lucrative, more powerful and more politically influential. The segregated businesses would have struggled and failed. By not shedding blood, sweat and tears battling for unearned entitlements, the blacks of the 1960s could have taken over the country on their own. And she was a central figure in the misguided efforts which prevented that takeover from happening. As a result, we are still talking about issues of rights and equality in terms of race. We are still discriminating because of people like her. So I suggest that displaying her statue in a focal area of the Hall of Statuary reinforces its position as one of entitlement -- as a racially motivated decision instead of one based on achievements. For this reason, and to symbolize the greatness that could have been for minorities had Rosa Parks done what she was told, I say move her statue to the back of the Hall. Show America that true equality is about freedom and opportunity, about earning one's way to the top, not about government and favoritism. That's sending the wrong message, where the American Dream is realized not through dint of hard work but through guilt and demagoguery.